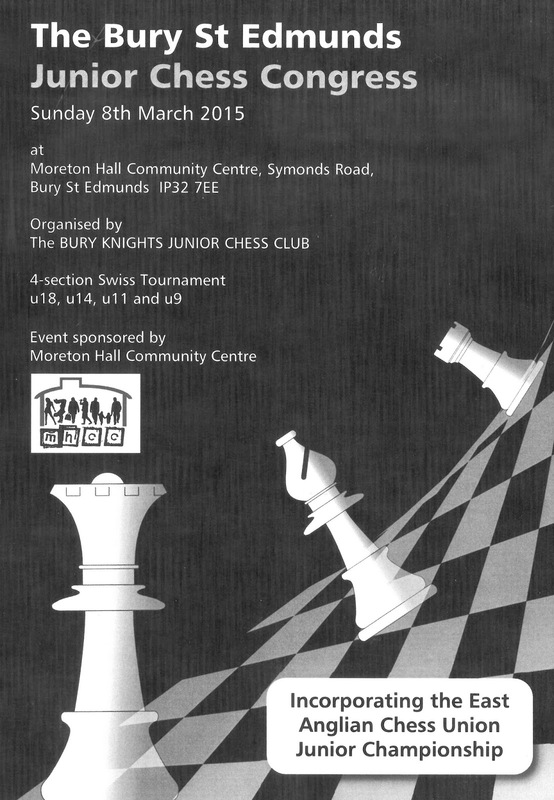 Today is the latest date for posting entries to the Bury St Edmunds Junior Congress, which is taking place this coming Sunday at Moreton Hall Community Centre. With 55 entries confirmed, and at least a further seven anticipated, this year's Congress promises to be bigger than last year's when 60 children entered. Sadly, for a local tournament, the number of entries from clubs and schools in Suffolk is only 23, most of which are members of the Bury Knights Junior Chess Club. Other entries are mainly from Norfolk (17) and Cambridgeshire (12). Any late entries should be notified to me by email.